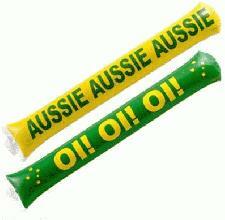 Make a noise and shout about your business during this year's Rugby World Cup with our promotional bang bang sticks. 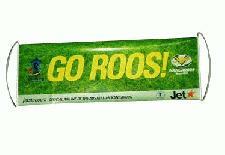 Printed both sides for optimum corporate exposure, this product makes a brilliant free giveaway for the Rugby World Cup. With printing in full colour, you can't miss out on this bright promotional item! You can even try Promotional Bang Bang Sticks with red and blue LED lights for an extra eyecatching promotional product. 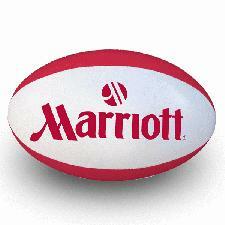 We have a range of great Rugby balls and shaped promotional items alike. Be the centre of attention at this year's Rugby World Cup with the bright and colourful Promotional Banner Flags. Using glossy sheets and plastic handles, this product can be printed on 1 or both sides in full colour. The banner rolls up tight to post off to customers and transport between Rugby matches, all totally damage free. This promotional banner is perfect for the Rugby and so much fun for the kids - celebrate England's winning try with your logo this World Cup! Get the party started when you celebrate England's winning try at the Rugby World Cup this year with our newest promotional gifts, Flashing Wristbands! 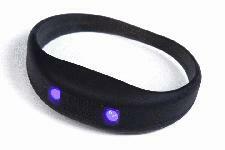 Made from Pantone matched Silicon, the promotional flashing wristbands can be printed in up to 2 colours in 2 positions, giving optimum brand exposure for your company. Be sure to pick up your promotional flashing wristbands before the celebrations begin. You don't want to miss out! Why not take a look at our range of summer beach products to party your summer away before the Rugby really kicks off! For more information or enquiries on our promotional Rugby World Cup products, fill in the form and we will get straight back to you.